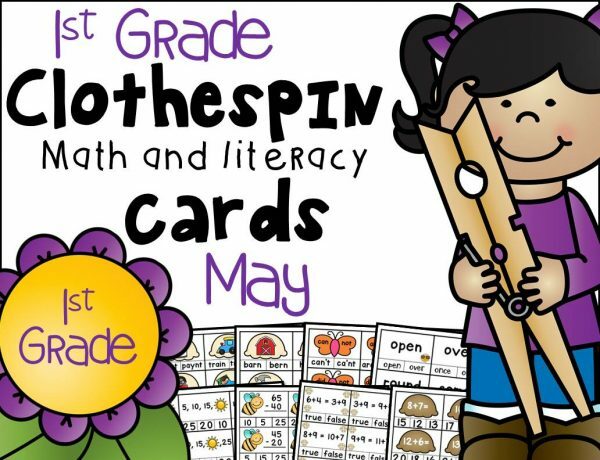 This is the May set of 1st Grade Math and Literacy Clothespin Clip Cards! Clip the correct contraction for the two words shown on the butterfly wings. 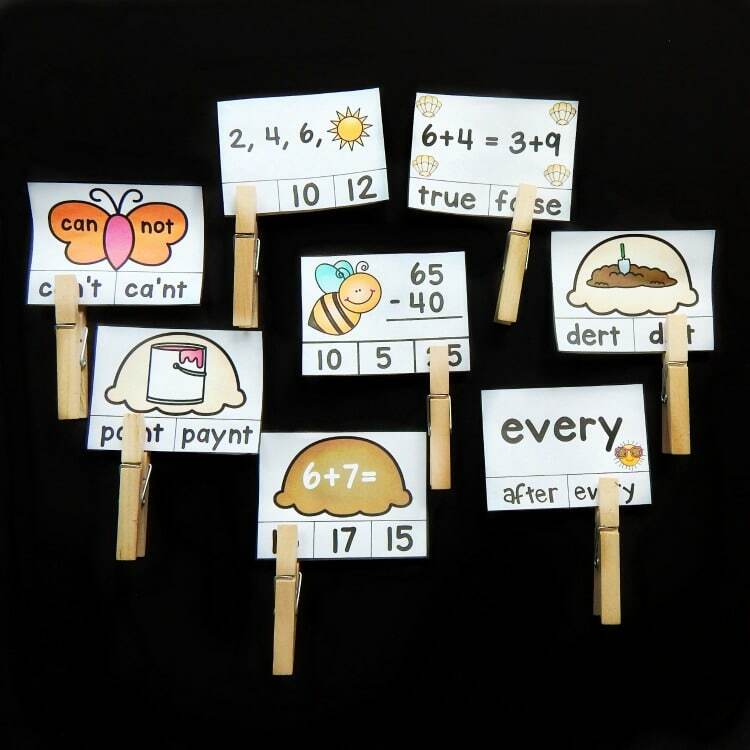 Clip the missing number in the counting sequence (counting by 2’s, 5’s, and 10’s). Solve the double digit subtraction problem and clip the answer (subtracting multiples of 10, no borrowing). Solve each equation and decide whether they are equal or not. Clip whether that is true or false. Solve the addition problems on the ice cream scoops and clip the answer (addition to 20). Black and White versions – these are an additional 158 cards, just in black and white for an ink saving option!